Do you know the #1 cause of conflict in marriage? FINANCES. But don’t let money issues start your marriage off on the wrong foot! “Money Management and Finances for Newlyweds: The How-To Guide”helps you and your spouse plan your financial lives together with key tips. Grab it today and use it as your roadmap to a conflict-free financial future. Use this Vook to structure your complete financial life now that you’ve joined forces with your partner. In eight chapters, learn how to merge your finances, set and maintain a budget, and manage your money wisely. Get insight into some of the often neglected yet critical aspects of joint financial planning: communication, honesty, and consistency. 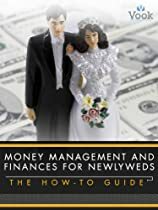 Much more dynamic than staring at pie charts on a computer screen, “Money Management and Finances for Newlyweds: The How-To Guide” presents all of this important information in a way that’s engaging and easy to digest. Download it today and start your marriage off on the RIGHT financial footing!